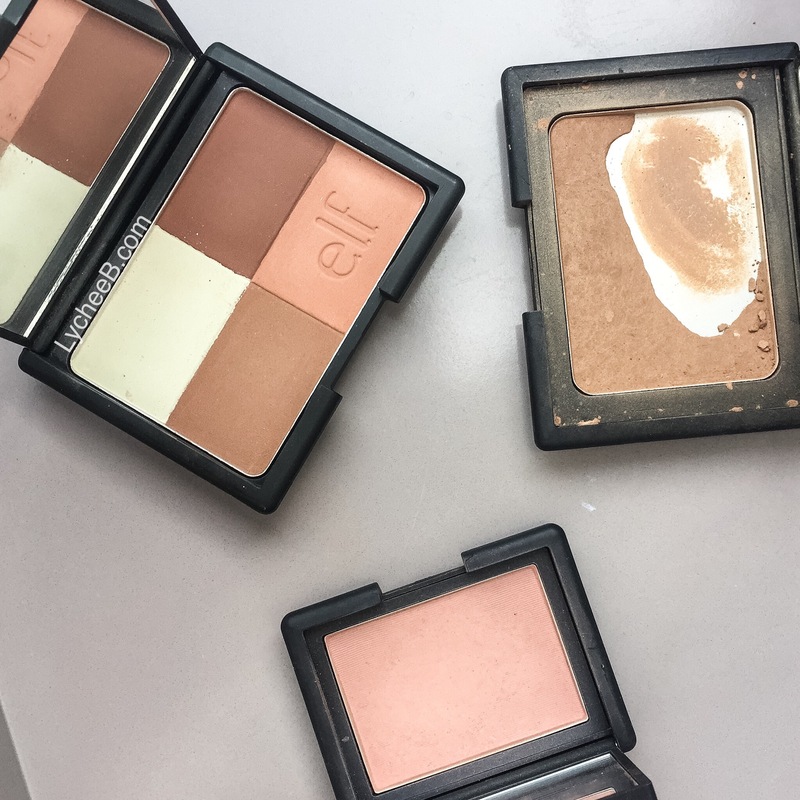 ELF is a brand that I have seen all over the internet, heard some mixed review about them but when I have find such a gorgeous bronzer for 4 Euros in their newly opened store in Aix-En-Provence, I just got it. Because it is a Cool bronzer – and Matte. First and Foremost calling this only a bronzer does not does it justice: it has 4 shades, a white one, a more bronzy one, a neutral- earthy peachy-pink corner and a deeper shade of bronzer – all mate wonders. Now I tend to prefer high-end bronzer because it just easier to apply, this product proved me right, the first time I swirled all the colours together and apply the same way I would use my Nars Laguna, I understood it wouldn’t be as easy – I’ve been called an humpa lumpa before having to re-do my entire make-up -. – First tip : Don’t swirl them all together it is a trick, apply the colours you want on specific area. Leave the darker bronzer if you are fair. – Second tip: a little goes a long way – this is pigmented !! On overall, it is perfect to use as eyeshadow – gorgeous – and if you learn to apply it properly it is also gorgeous as bronzer and blusher. The white corner does not transfer whiteon the skin, perfect for a mate highlight – Forget it if you wear only shimmery ones, It is not dramatic in any shape or forms, it is more of a everyday -very- subbtle one. And what makes it a new love ? A dupe for my beloved Nars Douceur Blush – discontinued. Slighlty different on the pan, exactly identical on the skin – and a potential mate dupe for Laguna. Of course, you need to be more careful when applying it. That what I call a good bargain ! Cool Bronzer Indeed | LycheeB <Loved it!